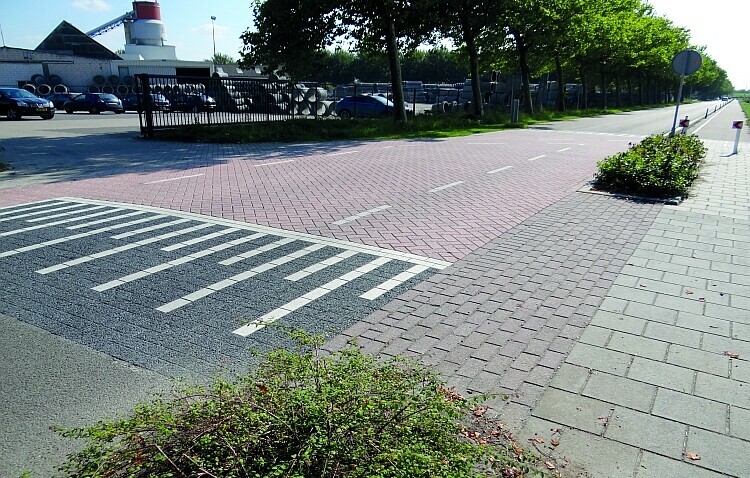 Bleijkobright® uses a specially formulated mix of white light reflecting natural aggregates called Luxovite increasing the contrast between normal paving and Bleijkobright’s lighter surface. As the demand for sustainable energy saving solutions grows, we can offer power savings on streetlights, the dimming of light sources at night and increased road safety. 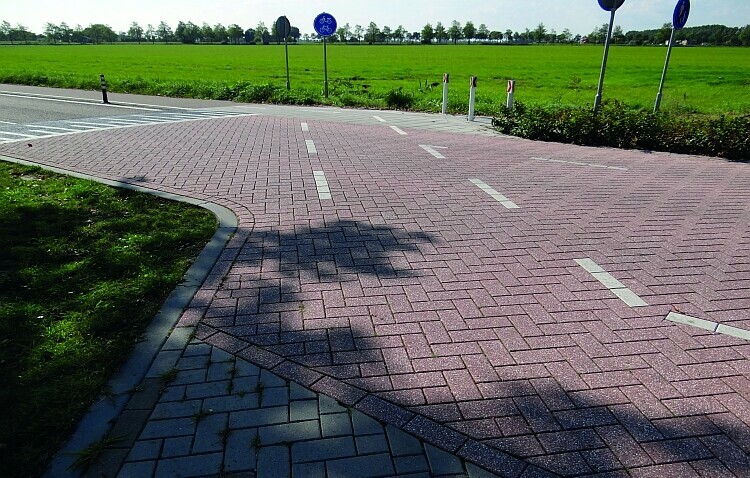 Bleijkobright® paving and kerbs have enhanced day and night visibility when compared with traditional grey concrete paving. 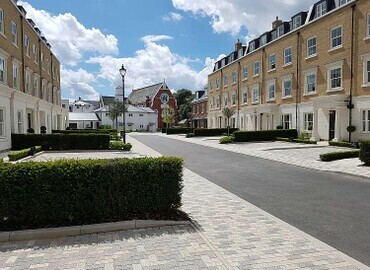 The paving can be seen not only in dry but also in wet weather conditions where in darkness traditional grey kerbs become almost invisible in relation to the road, Bleijkobright® shines. Bleijkobright® products can improve optical guidance for traffic and pedestrians, this reflective quality is visible in daylight and when street lighting and car headlights are in use. QO = average luminescent coefficient as measured for road lighting, the higher the coefficient the more light is being reflected. S1 = the higher the reflective factor, the more the road surface can be seen. Qd = luminescence coefficient measures the degree the road surface can be seen under street lighting and daylight. Beta = luminescence factor or degree of whiteness as per ISO 7724-1. Street Furniture and other external design opportunities can be enhanced by incorporating the Novostones® range of colours and finishes. 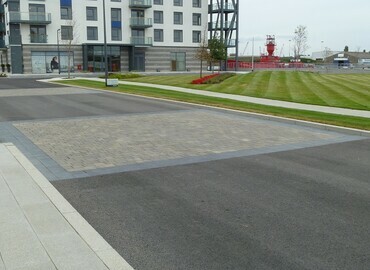 Novostones® paving create a definitive architectural statement for all prestigious paving projects.